Malloron is the king for the largest territory in the Western Lands, Eiros, and he also comes from the family line of Talent-crafters who created and refined the way in which magic is used in this world. As shown in, the Crave trilogy, he is devious, manipulative, and cruel; willing to use mind-games, tricks, and poisons to get what he wants. However, there is something he’s hiding that is his motivation behind his interest in Omegas. Amara is another Omega spy who has been sent to the Western Lands to investigate a strange occurrence happening that the Mothers are concerned about. She has been trained to deal with the deviant people of the Western Lands, but trying to ‘handle’ the most powerful of all Talent-crafters when he’s set his sights on you isn’t a feat to be taken lightly! When I wrote Crave To Capture, Amara’s assignment was explained in full detail, but I decided to take it out as it didn’t help to progress Drocco and Cailyn’s story. So in this book you’ll find out exactly what she’s doing in his castle and what she is investigating. This couple is quite different to Drocco and Cailyn and I’m excited to share their story with you (well, I haven’t started writing it yet, but my planning has been intense!). Myth of Omega will continue to be a dark series with this new couple, especially as we will now be in one of the most unsavory parts of this world and with a morally corrupt, power mad, magically gifted hero. Some may find his behavior utterly despicable–so you’ve been warned. That being said, this is still a romance series and things will pan out for them. I asked for opinions on a color scheme for these books in my reader’s group on Facebook (and if you’re not in this group? Why not?!) and some gorgeous palettes were suggested (I’m sooo using them for books in my catalogue). 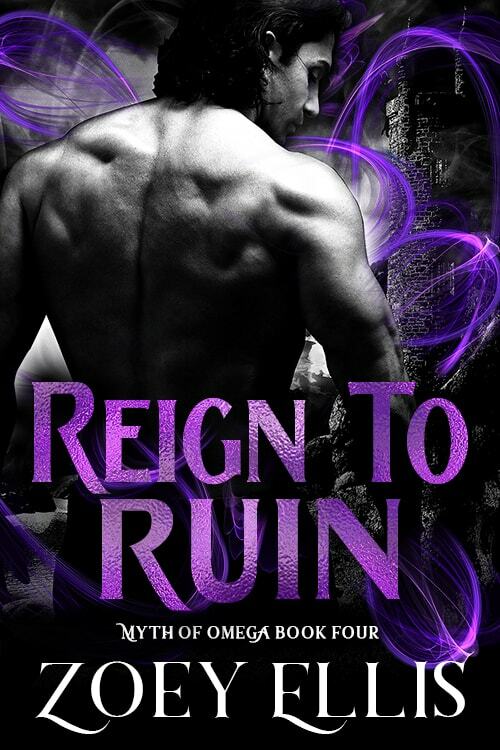 So here’s the cover for the first book in the Reign trilogy! Erm… Zoey, you said there were TWO more couples? Who’s the third? We haven’t yet met the third couple yet, but they will be present in the Reign trilogy. If you’d like to guess who they are as you read along, you’re welcome to post comments on my blog as the series progresses or email me or post suggestions on Facebook. I’m not promising to reveal anything, but you can make your guess! But wait, what about Torin and Victoya?! 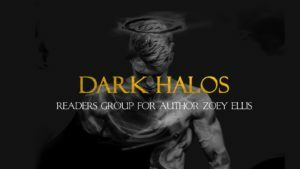 Torin and Toya will have a story but it will be written as a separate novella and will be made available for free to my reader’s group, Dark Halos. Find out more about my reader’s group. I’m currently behind on this one but I’ll keep the reader’s group updated. Next Omegaverse couple, I’m all in! I definitely want to see how you redeem Malloran – there was some horrific things mentioned involving kids. If you can turn him around you have skills Ms. Ellis and that story line will further solidify why you’re on my favorite authors list!!! YES!!! I preordered that bad boy immediately! Lol I’m so excited about this!!! Sign me up!! Already preordered. 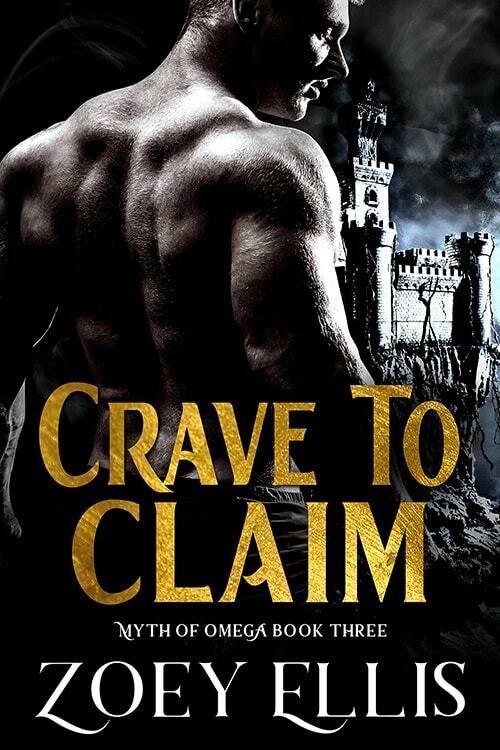 LOVED the Crave trilogy and just know there are going to be some surprises and wonderful twists in this that will most probably make us fall in love with Malloron too.